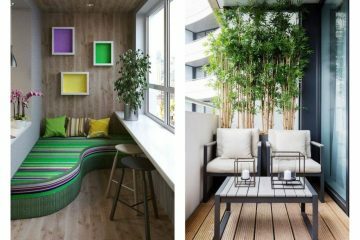 Maximize the space in a small apartment/house with the use of stunning gypsum board room divider ideas. Gypsum board is a decorative wall that can be easily shaped and framed and by the way, gives your room an attractive look. 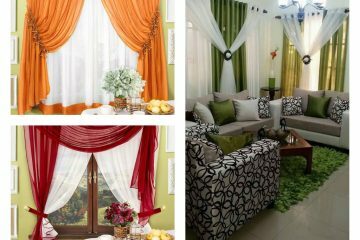 It might be used in the living room to create one open-plan room or to use it in the bedroom place. 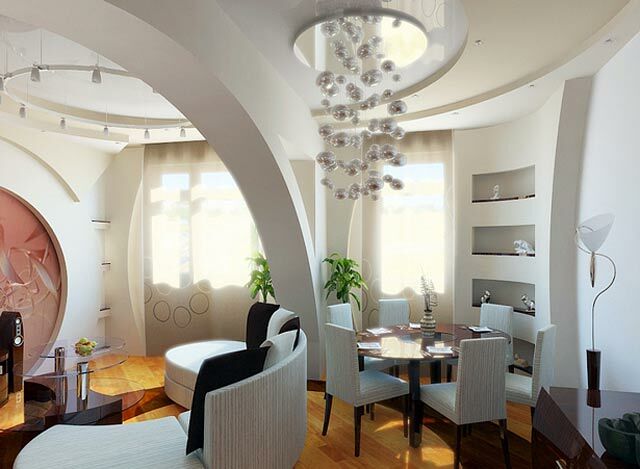 Take a look in the following images that makes perfection of a room. 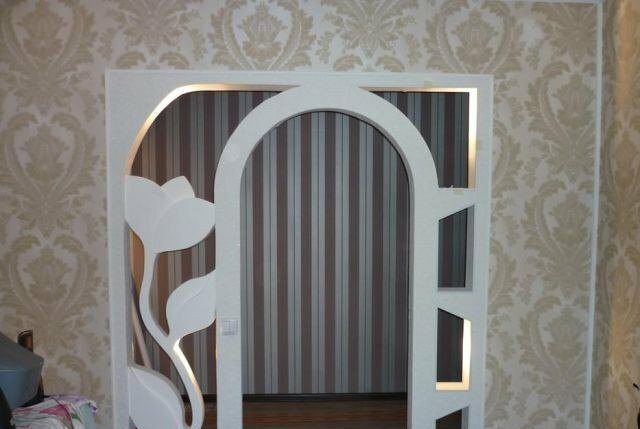 But, if you don’t like to use gypsum board as a room divider, check our totally unique ways to use glass doors to make two rooms of only one. Keep following our website in future because our next post will be a little surprising for you but for us one idea that will draw everybody’s attention! Kill two birds with one stone if choose gypsum board room divider with the combination of hidden lighting. Create a nice ambient and comfortable atmosphere in your living room with a red and white wall. Choose one of the best ideas from our gallery collection! Even a bedroom needs room division for privacy and also for creating a modern look. That’s why you should use the idea as a part of your home and sleeping room. Standard white room partition will add a fantasy in every house place. One simple design that looks lovely and makes you have two tiny and cute rooms instead of one large and old-fashioned. 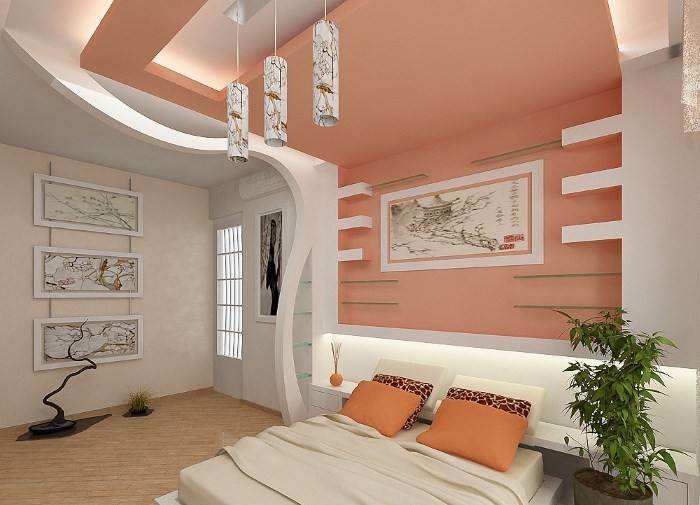 Gypsum board wall shelves, wall division and ceiling decor is the description of this open-plan living area design. Nice idea. 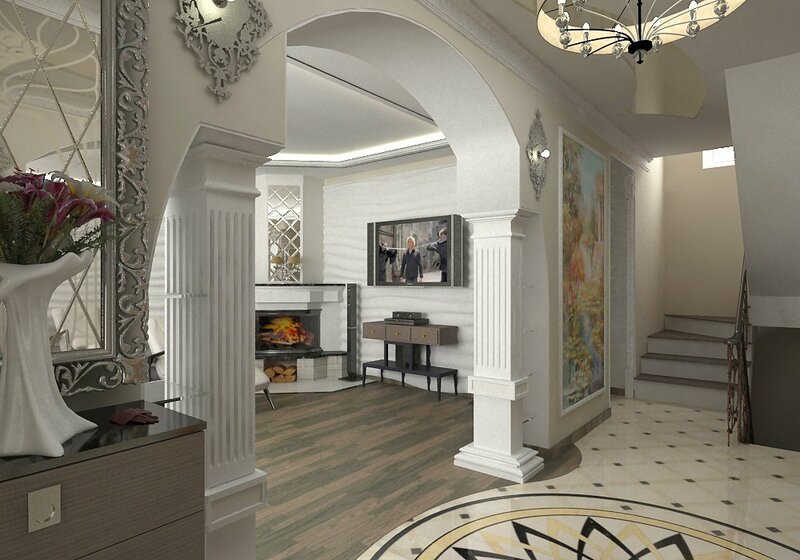 This is ideal for people with style, for those who enjoy in stunning room partition. Is this the idea you need for your house place? 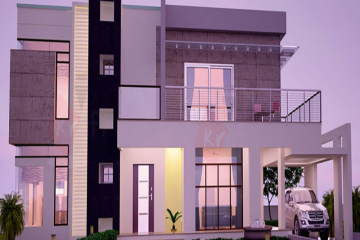 If Yes, save it on your desktop and renew the house design. 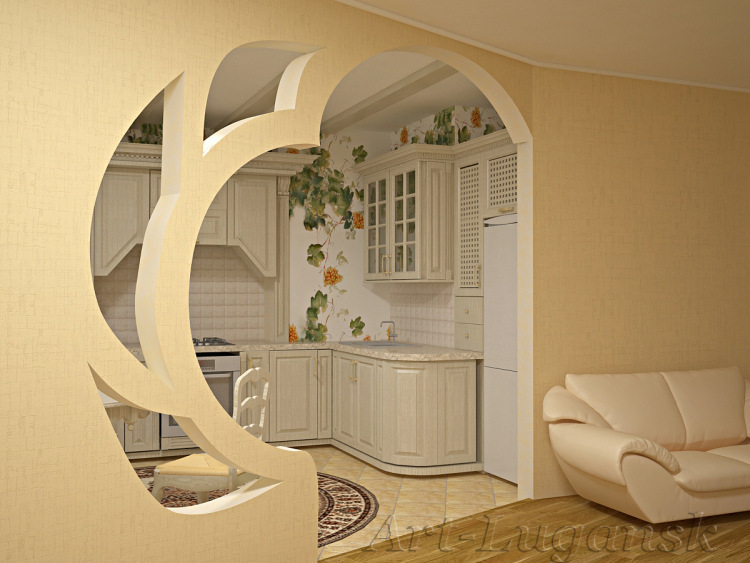 Interesting shape of a house place WALL PARTITION. A gallery wall is a lovely idea for every house walls. 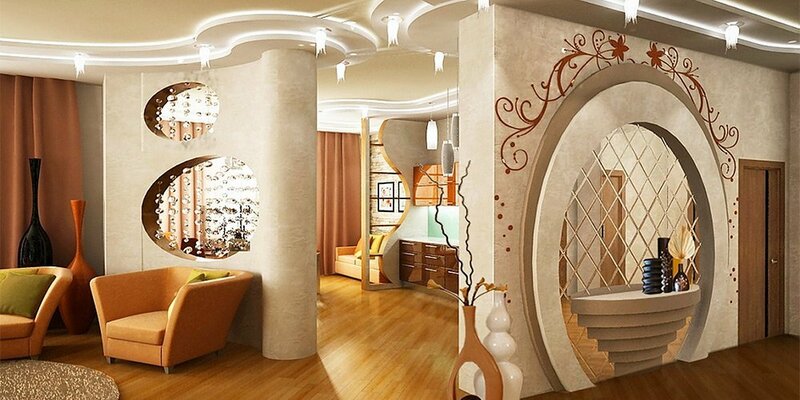 In this photo, we have a circular room divider with 3D stickers, hidden lighting and a gallery wall. What else can we add for perfect design? Well, nothing at all, everything seems so beautiful! 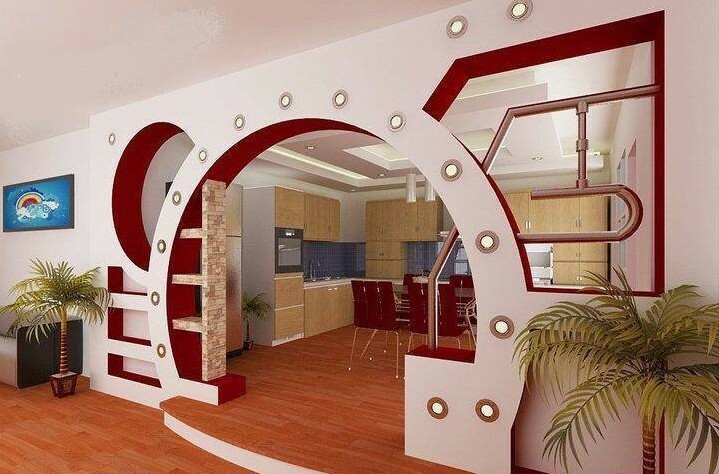 What do you think of creating different shapes of your interior walls? 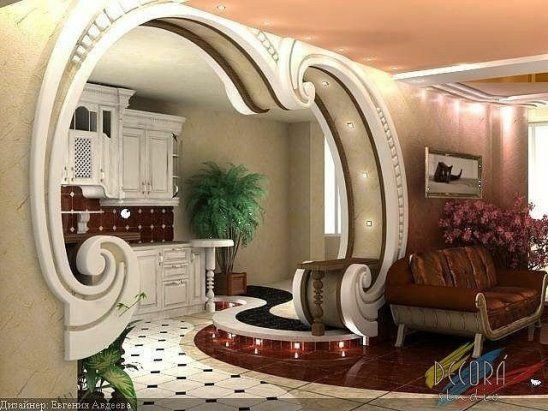 For example, some of your house walls can look exactly like this one. Add the touch of the flowers there and enjoy in nice ambient. Let’s end this post with the most beautiful idea about how to divide the living room of the kitchen place. Thanks for your attention, we appreciate your time so we choose the best interior design ideas both to inspire you and to save you time.